Amor Fati is a duo consisting of Andreas Lande and Thomas Bergsten. They started playing together when they found two organs on a flea marked back in 1999 and immediately started recording their own brand of improvised organ music. ‘Trilogien Om Den Triste Skilpadden’ (‘Trilogy of the Sad Turtle’) is a story about a sad turtle in three parts inspired by a dream both Thomas and Andreas had. 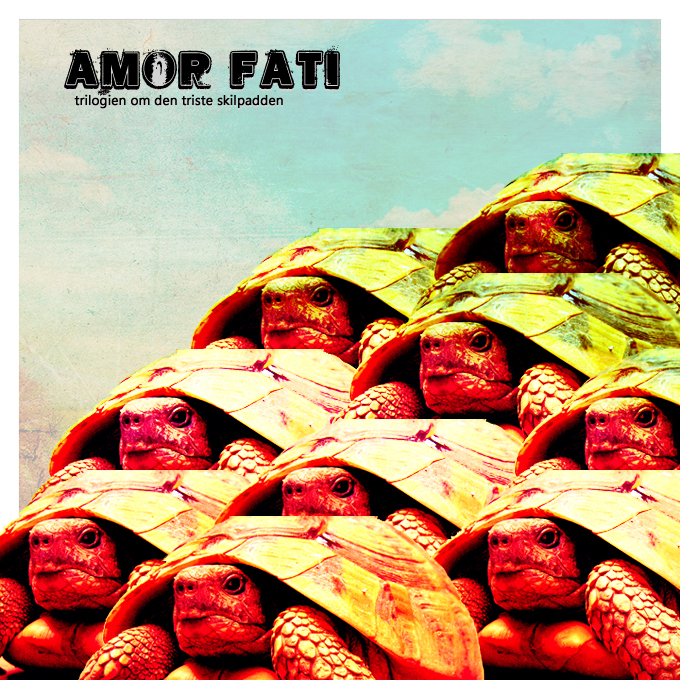 Amor Fati sadly died when one of the organs got killed on a Ganjibiri concert, if we’re lucky they’ll play live again someday. Recorded in 1999. Artwork by Morten.